The Surface Dial starts shipping in less than two weeks. Here are the apps and desktop programs it will work with at launch. Of all the items Microsoft showed off during its devices event last Wednesday, the surprise Surface Dial was one of the most curious. Will it be as useful and as cool as it looked on stage? Or will it be something that makes sense for graphic artists, but pretty much no one else? Microsoft its new peripheral will have broad aappeal. The company recently published a list of apps on the Surface Dial’s page on the Microsoft Store that are designed to work with it. There are certainly a ton of graphics-related apps and programs listed, but you can find a few apps for us stick-drawing types too. 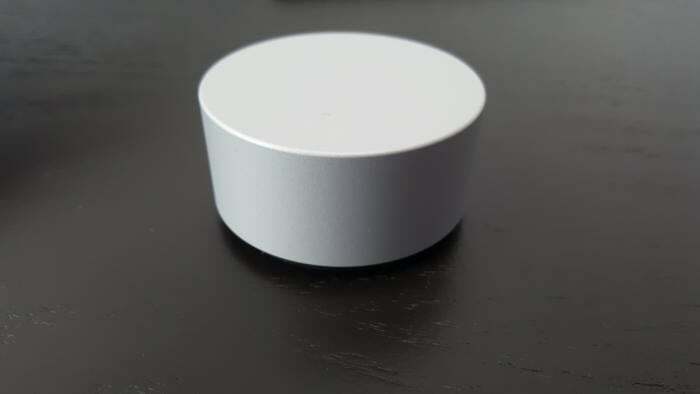 The puck-shaped Surface Dial is designed as a complement to other input devices, especially the Surface Pen. When placed on the display of the new Surface Studio all-in-one desktop, it brings up a radial menu that changes based on the app currently in use. It works with other Surface devices including the Surface Pro 3, Pro 4, and Surface Book, but only the Studio is capable of screen-to-puck interactions. The “puck mouse” was a little more advanced than the humble Surface Dial, however, as it had a built-in display—and appeared to be waterproof. Notably, that 2015 concept video also made liberal use of radial menus. The Surface Dial starts shipping on November 10 and is available for pre-order now for $99.